SpeedAngle 10Hz GPS Lap Timer with Lean Angle Measurement and G-Forces. GPS+GLONASS enabled. The all new SpeedAngle APEX model has been released with improved display, five display modes, predictive time + much more. Equipped with aero sensing technology and 10 Hz GPS module, APEX is a one-of-a-kind data logger developed for motorcycle enthusiasts. It is different from other data loggers in the market in that it captures how you perform instead of how the bike performs. It measures and records the 3D motion of your ride. Everything you need to start lap timing yourself on the track or road. 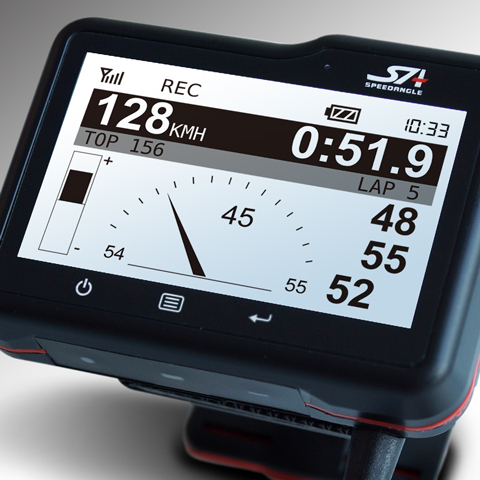 display modes including lap time only. Some of the users are Yamaha Racing Team, Team Honda Racing, Cube Racing, Linden Magee, Mike Jones, Michael Blair, RTR Racing + many more. Also measure longitudinal G’s up to +/- 1.5G, speeds up to 410km/h and lap times down to 1/1000 sec. SpeedAngle has secured the sponsorship of Team Honda Racing. New SpeedAngle model allows for firmware upgrades. 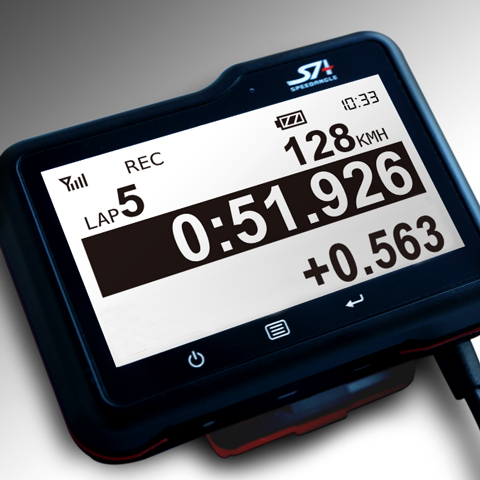 SpeedAngle Lap Timers used on winning Superbike and Supersport bikes at Australasian Superbike Series. Some of the top riders using SpeedAngle are Wayne Maxwell, Glenn Allerton, Troy Herfoss, Bryan Staring, Mike Jones, Michael Blair, Lukey Luke, Aiden Wagner + Many More. 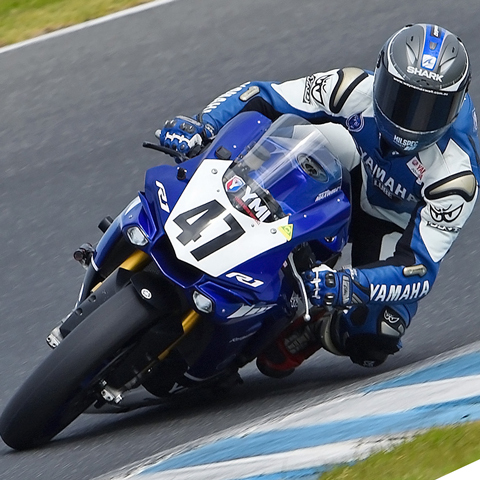 Wayne Maxwell [Yamaha Racing Team] 2014 Australasian Superbike Champion use and recommend SpeedAngle Lap Timer. It's available for the very low price of $545.00 RRP at selected Motorcycle outlets. There is a free download of SpeedAngle software that enables you to analyse your sessions and compare data with friends etc. The device comes with pre-loaded tracks for Australia, each track contain at least one sector and upto three sectors for longer tracks. We offer you FREE telephone support just in case you are stuck, but the device is very much a switch on and start riding. 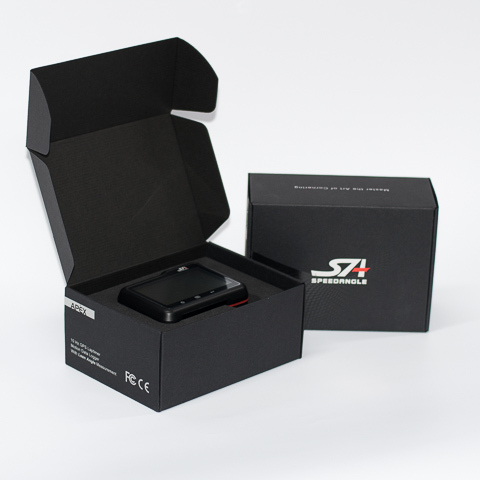 SpeedAngle R4 is a simple yet powerful tool to analyze your ride. With G force color-coded on the trace and its unique graphs of speeds, lean angles, and longitudinal G’s. The software is designed to run on MS Windows only. We provide all Lap Timers with pre-loaded Australian Tracks with sectors already added. Up to 15 tracks can be stored on the SpeedAngle unit. You can edit tracks and add your own personal sectors via the software using your Windows compatible computer. Automatically detects your track location, starts without any user input. Auto new tracks can be created. Accuracy is within 1/1000 second subject to good GPS signal. Using the SpeedAngle R4 software you can compare laps from any session. The point of lean angle measurement is not how far you can lean, but to know exactly how and where you are leaning in a corner. This, plus the acceleration/deceleration G measurement and GPS trace, can clearly mark how hard and how long you are braking before entering a turn, what your cornering speed is, if the throttle is rolled on again before or after exiting the apex, just to name a few. Data is logged every session you go out, you can also review the sessions on your device. The software will then show you the trace and all measurements such as Speed, Lean Angle and G-Forces. Sole Distributors in Australia for SpeedAngle Inc. Simply visit Mototrack Accessories for immediate Express Post Shipping in Australia. Visit our support page on facebook for more information. Copyright © 2018 - Mototrack Accessories.